You’re reading novel The Good for Nothing Seventh Young Lady Chapter 751 online at LightNovelFree.com. Please use the follow button to get notification about the latest chapter next time when you visit LightNovelFree.com. Use F11 button to read novel in full-screen(PC only). Drop by anytime you want to read free – fast – latest novel. It’s great if you could leave a comment, share your opinion about the new chapters, new novel with others on the internet. We’ll do our best to bring you the finest, latest novel everyday. Enjoy! Even though the great clans were fully aware of Ruan Yingzhe’s plot, they could not object it. 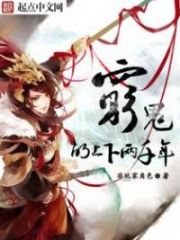 The strength of the five great clans was no longer strong enough to compete with the Broken Star Palace, especially now that the Vermillion Bird Clan was in Ruan Yingzhe’s grasp. They could only compromise. “Many thanks to Senior Ruan for helping us, we will quickly investigate the whereabouts of Gu Qingming.” Qi Cang said; in his heart, he was cursing all of Ruan Yingzhe’s eighteen generation of ancestors. Just how mysterious was the Silver Hands Organization? Even up to now, no one still knew their base, let alone the Silver Hands members who come and go without a trace. To provoke a member of the Silver Hand was the same as asking for a nightmare to happen. Facing the pressure from the Broken Star Palace and the threat of the Silver Hands, the heads of the four great clans were really miserable. At this time, a loud noise echoed inside the Household of the Vermillion Bird Clan. Shen Yue immediately stood up from his chair. That sound clearly came from the backyard of the Vermillion Bird Clan. And in the backyard was the bas.e.m.e.nt were they detained Shen Feng and Shen Ling. "What was that? 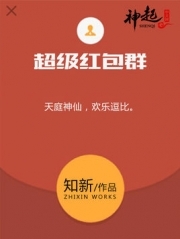 Send someone to check it.” Ruan Yingzhe glared at the four great clans. Shen Duan was holding himself secretively and straightly all because he was hugging Ruan Yingzhe’s thigh. This time, by all means they could not meet any accidents. A number of servants immediately went to the backyard to check what happened, only to come back quickly. "What!" Shen Yue’s face turned pale. For Shen Feng and Shen Ling to escape, that meant that they broke the iron gate of the bas.e.m.e.nt. Otherwise, then how could they escape? The several Clan Heads looked at the head of the Vermillion Bird Clan with curiosity. They already knew about the matters inside the Vermillion Bird Clan, but they did not expect that they would encounter such a good show. It was no secret that Shen Duan detained Shen Feng a long time ago. Although several people were angry, they did not dare to make trouble because of Ruan Yingzhe. “Let’s go check the backyard.” Ruan Yingzhe could not concealed the surprised in his face. But anyway for him this was also good. If Shen Feng wish to dig his own grave, then he would help him accomplish it and might as well beat the Clan Heads of the other four great clans. "Let’s all go together." Ruan Yingzhe said. "Alright." Qi Cang and the others were originally curious, how could they miss a good show. The Clan Heads exchanged a look with one another before they immediately followed along. When Ruan Yingzhe and the others finally reached the backyard of the Vermillion Bird Clan. They were surprised to see Shen Feng and Shen Ling standing upright in good conditions compared to their previously beaten up appearance. However, what shocked them the most was the little girl standing in front of Shen Feng. “Shen Yanxiao!” Shen Yue recognized the figure immediately after looking at it. His eyes instantly emitted fire. Shen Yanxiao’s arms were crossed around her chest. She remained calm and unruffled even in the midst of chaos as she stood before Shen Feng. She slightly raised her chin as she looked at Shen Duan’s and Shen Yue’s face. "You, little b.a.s.t.a.r.d still dare to come back! You are still reckless and annoying as ever!” Shen Duan was gritting his teeth as he look at Shen Yanxiao. If it was not just because Shen Yanxiao had suddenly recover and casually took the next Clan Head position of the Vermillion Bird Clan, then how would he get to this situation? "Oh, I am the next Clan Head of the Vermillion Bird Clan. The clan had an accident, so why would I not dare to come back? You two sc.u.ms actually dared to do such evil deeds, aren’t you afraid of retribution?” Shen Yanxiao gazed coldly. This two b.a.s.t.a.r.ds, Shen Duan and Shen Yue, were unworthy of the Vermillion Bird Clan. You're reading novel The Good for Nothing Seventh Young Lady Chapter 751 online at LightNovelFree.com. You can use the follow function to bookmark your favorite novel ( Only for registered users ). If you find any errors ( broken links, can't load photos, etc.. ), Please let us know so we can fix it as soon as possible. And when you start a conversation or debate about a certain topic with other people, please do not offend them just because you don't like their opinions. You're reading The Good for Nothing Seventh Young Lady Chapter 751. This novel has been translated by Updating. Author: North Night,夜北 already has 2873 views. Current Time is Apr-22-2019 00:52:19 AM.